That plan now is shelved, Haberman said, because the cost of steel used in Gradall’s telescopic excavators and vacuum trucks shot up by one-third following President Donald Trump’s crackdown on steel imports. As steel costs account for 35 percent of his cost of production, he fears rising prices would not only hurt his export sales, but also give an edge to foreign rivals at home. “At this point, we really need more visibility before we would bring in more workers,” he told Reuters. When Trump signed a $1.5 trillion package of tax cuts at the end of 2017, supporters predicted businesses would respond this year with a burst of hiring and investment. But Reuters interviews with more than a dozen small to mid-sized manufacturing executives and recent U.S. economic data reveal Trump’s protectionist trade policy is starting to lead some of them to take a more cautious approach, and forcing them to put new investment and hiring plans on hold. While these manufacturers lauded the administration’s push to make U.S. businesses globally competitive through measures such as the tax overhaul and a deregulation drive, they complained that the steel and aluminum tariffs along with the escalating trade spat with China were undercutting those benefits. Trump has proposed a separate 25 percent import tariff on some 1,300 Chinese products to try to force changes in Beijing’s intellectual property practices. If the tariff comes into effect, they would upend Haberman’s components supplies from China, he said. The steel and aluminum import tariffs imposed in March were designed to protect the American industries and its workers from global overcapacity and unfair trade practices. Trump justified the measure saying protecting the industries was important to the country’s national security. He argued that the tariffs would re-open closed mills, sustain a skilled workforce, and maintain or increase production. But the tariffs, which came into effect on March 23, have driven up raw material costs and caused supply delays, rendering the manufacturers’ “Made in the USA” products uncompetitive against their foreign rivals, according to these manufacturing company executives. Mike Schmitt, president at The Metalworking Group in Ohio, said his metal fabrication company has lost around a thousand hours repricing and renegotiating contracts because it can’t honor the old prices. The company has delayed plans to spend around $500,000 on equipment this year and bring on new staff to expand. “It’s going to be 2019 before we buy anything because we don’t have enough confidence to do it. There’s just too much uncertainty out there right now,” Schmitt said. The Institute for Supply Management (ISM) survey on Tuesday showed how widespread that sentiment is: manufacturers slowed down hiring for a second straight month in April amid complaints that the tariffs have brought business planning to a standstill. Nicole Sahin, chief executive at recruitment firm Globalization Partners in Boston, says a large multi-national client of hers recently pulled back from an $800 million investment in a U.S.-based energy project after rising steel costs made the investment not viable. Sahin said all her clients who are exposed to steel prices have put their investment plans on hold because of the business “uncertainty” caused by the tariffs. Big manufacturers are looking to manage cost increases by controlling expenses through their supply chains or raising prices for their products. But not all small manufacturers have those options. Take Florida Marine Tanks, which makes fuel, water and holding tanks for yachts. Company President Orestes Monterrey said aluminum accounts for 70 percent of the company’s cost of production, which has risen 26 percent since December. When the Henderson, North Carolina-based company tried to pass along rising aluminum costs, customers slowed down orders. The company has shelved a $2.2 million plan to expand its North Carolina facility and hire 46 new workers. It also fired four workers that were hired in December for the project, Monterrey said. In a March study, Trade Partnership Worldwide estimated the steel and aluminum tariffs would result in a net loss of nearly 470,000 U.S. jobs. The proposed tariffs on Chinese imports, the Washington-based consulting firm estimates, would put 134,000 jobs at risk. “There is just no way to sustain expansion, develop new products and bring on new employees – as we thought we were going to do this year,” said Troy Roberts, chief executive officer at Colorado Springs-based Qualtek Manufacturing. Roberts’ company provides stamped parts to the medical device and aerospace industries. Qualtek was planning to invest up to $1 million in new capital equipment and expand its workforce by 17 percent this year. Even though the company purchases domestically-produced steel and aluminum, Roberts says the metal tariffs are projected to increase Qualtek’s raw material costs by $300,000, putting the investment and workforce expansion plans in jeopardy. While the tariffs have increased the demand for local steel and aluminum, domestic mills have not yet fully ramped up their capacity. Data from the American Iron and Steel Institute shows capacity utilization at the steel mills has gone up by just 1.1 percentage points from the same period last year. As a result, the lead time for delivery of raw material is going up. Roberts of Qualtek Manufacturing says his lead time has doubled to 14 weeks. In Florida Marine Tanks’ case, a shipment scheduled for early March hasn’t arrived yet. Trump has postponed a decision on whether to withdraw temporary exemptions from the metals tariffs on Canada, the European Union and Mexico until June 1, and has reached agreements for permanent exemptions for Argentina, Australia and Brazil. The imports from the exempted countries, however, will be restrained by quotas. 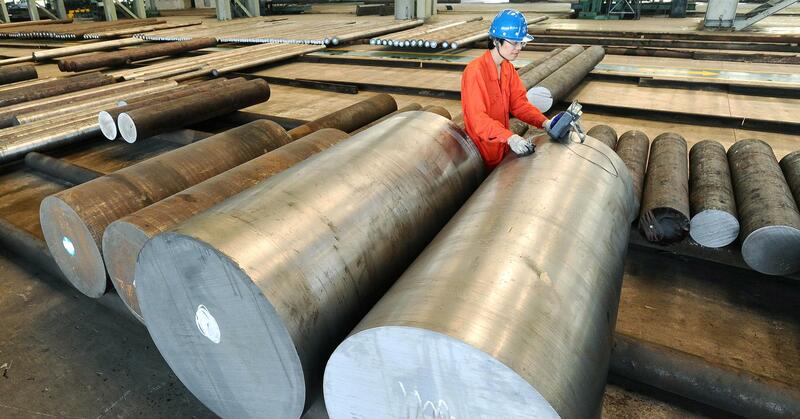 Manufacturers are not sure how the quotas will be implemented or will curb rising metal prices. Faced with supply delays, some manufacturers have decided to pay the tariffs and get the metals from overseas. The Vollrath Company in Wisconsin, which makes cookware and bakeware items, has started importing aluminum from China after local mills couldn’t meet its demand. The company’s chief financial officer, Steve Heun, says the tariffs, CUT including the latest countervailing duties, will make its aluminum products at least 20 percent more expensive than those of its foreign rivals, and are estimated to increase its input costs by as much as $6 million a year. Its working capital requirements have gone up by 10 percent as the company is now forced to hold more inventory, Heun said. Vollrath employs 1,000 people in Wisconsin and had plans to hire 25-50 workers this year. But with the tariffs weighing on its profitability, Heun says the company is looking for ways to trim costs and has halted new hiring. “If there was any positive feeling about the tax overhaul, clearly, it’s been wiped out,” said Heun.